As BATs, we watch for injustices and swoop in to do what we can to improve the lives of students, families, teachers, schools, and communities. 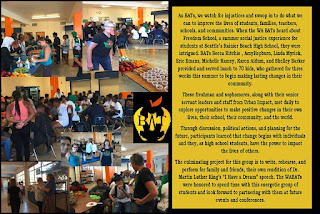 When the WA BATs heard about Freedom School, a summer social justice experience for students at Seattle’s Rainier Beach High School, they were intrigued. 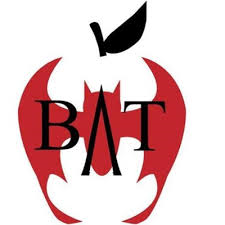 BATs Becca Ritchie , Amy Hepburn, Linda Myrick, Eric Emans, Michelle Ramey, Karen Adlum, and Shelley Barker provided and served lunch to 70 kids, who gathered for three weeks this summer to begin making lasting changes in their community. These freshman and sophomores, along with their senior servant leaders and staff from Urban Impact, met daily to explore opportunities to make positive changes in their own lives, their school, their community, and the world. Through discussion, political actions, and planning for the future, participants learned that change begins with individuals and they, as high school students, have the power to impact the lives of others. The culminating project for this group is to write, rehearse, and perform for family and friends, their own rendition of Dr. Martin Luther King’s “I Have a Dream” speech. The WA BATs were honored to spend time with this energetic group of students and look forward to partnering with them at future events and conferences.